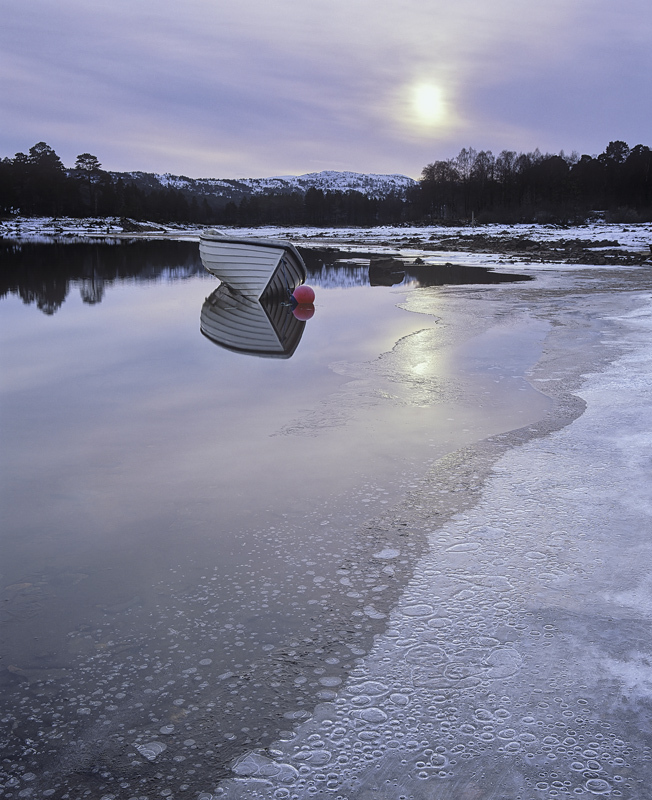 Loch side in winter on a freezing cold day in Glen Affric. I managed to work my way down to the reservoir and skirt the mudflats conveniently frozen solid under a skin of ice with bubbles of air trapped beneath. As soon as I moved the bubbles shifted position but I thought it made a teriffic foreground pattern and I managed to use the frozen bank as a leadline out to the wooden row boat slumped over at a jaunty angle.